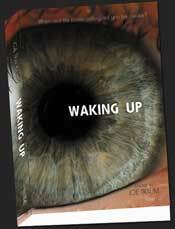 Traum, retired real estate investment broker and author of the newly published suspense thriller “Waking Up,” says he always dreamed of being a writer. As it happened, he wrote 5,000 of those words during a plane ride home from Portugal, although he doesn’t remember doing it. Generally, though, his work style is less dramatic, although, he said, the research part is critical. For example, he visited the Minnesota drug rehabilitation clinic mentioned in his book and did significant research on the Japanese mafia, which also figures in the novel. “If you want your work to be honest, you have to go,” he said, adding that he chose to locate a section of the book in Japan because he knows the country well. Traum, a member of the Clifton Jewish Center, said that at least one major source of inspiration for his book came from a long-ago sermon by Rabbi Aryeh Gotlieb, then religious leader, now rabbi emeritus, of the Jewish Community Center of Paramus. “He had one sermon I considered extraordinarily powerful; I hadn’t heard that take on Judaism before,” said Traum. According to the author, Gotlieb spoke about the saying “forgive and forget,” noting that while the two words are always linked, they shouldn’t be. But he never forgot, said Traum, recalling Gotlieb’s words. The sermon stayed in his mind, said Traum, finding expression in the pages of his book, which he began writing in June 2006. At a Clifton Jewish Center program last month, Traum joked that he didn’t make his protagonist, Michael Hayes, Jewish because “he’s not a nice guy.” He is, however, “someone we all knew growing up who we loved to play punch ball with; but then he began to separate himself,” ultimately looking down on former friends. The book begins as Hayes receives a phone call telling him that his son has been kidnapped. When the boy is subsequently killed, Hayes sets out to track down the killer. “When I found a publisher that wanted to buy my book, it was a wonderful moment,” he said, adding that he’s well into his second novel, based on an actual incident involving a suspicious death.